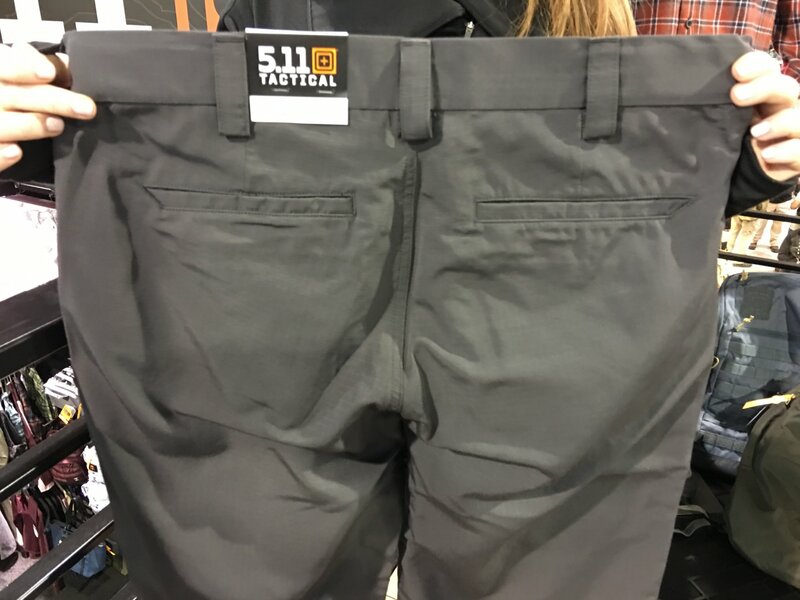 5.11 Tactical FAST-TAC Urban Pant and FAST-TAC Cargo Pant: Ultra-Lightweight, Packable Ripstop-Fabric Combat/Tactical Pants for Concealed Carry, and Combat/Tactical Shooting and Ops! | DefenseReview.com (DR): An online tactical technology and military defense technology magazine with particular focus on the latest and greatest tactical firearms news (tactical gun news), tactical gear news and tactical shooting news. 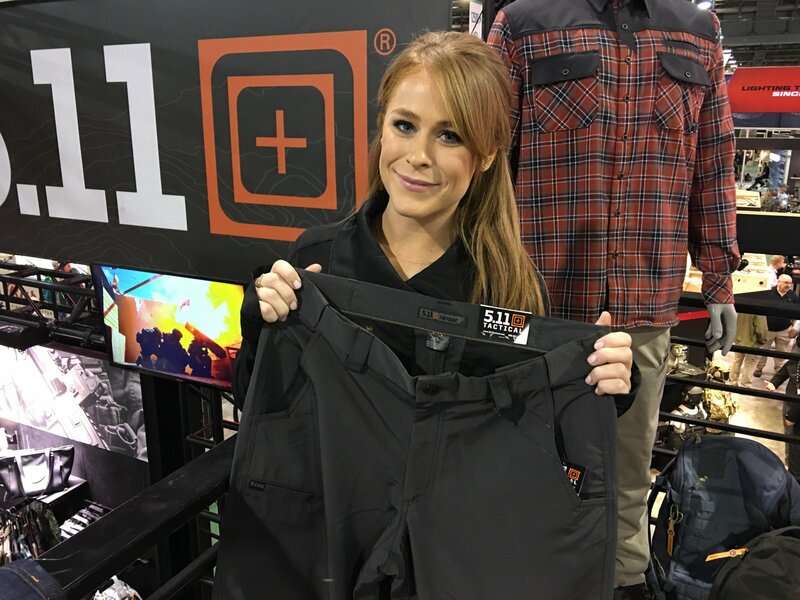 As if if the new 5.11 Tactical Defender-Flex Slim Jean and Straight Jean and Stretch-Cavalry Twill Pant combat/tactical pants aren’t enough new pant product for you, 5.11 also introduced the new 5.11 Tactical FAST-TAC Urban Pant and 5.11 Tactical FAST-TAC Cargo Pant ultra-lightweight combat/tactical pants at SHOT Show 2017–and they look pretty slick. The Fast-Tac Urban is the more lo-pro/lo-vis (low-profile/low-visibility) pant, while the Fast-Tac Cargo is the more traditional-looking tactical pant, with two flap pockets on the outer thigh. 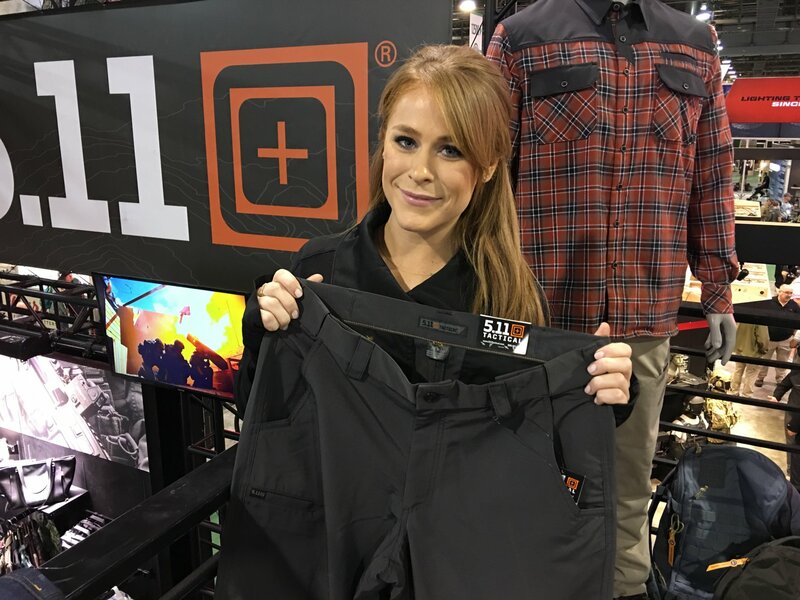 The new Fast-Tac pants’ ripstop fabric is so light, it’s actually 25% lighter than the the ripstop fabric utilized in the already-lightweight 5.11 Tactical TACLITE series pants. 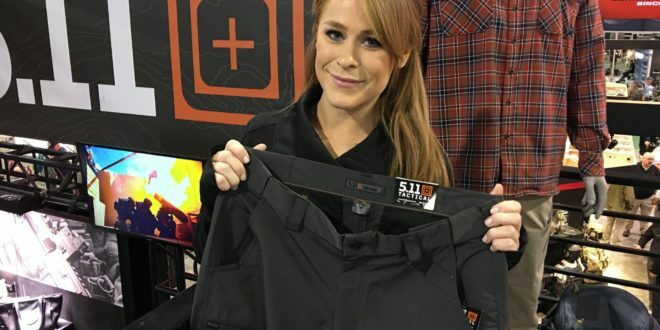 Oh, and don’t worry, it’s durable, too, with high wind, water and abrasion resistance, according to 5.11 Tactical company rep Meghan Finley, who was kind enough to take DefenseReview (DR) through the Fast-Tac pants on video (see below). 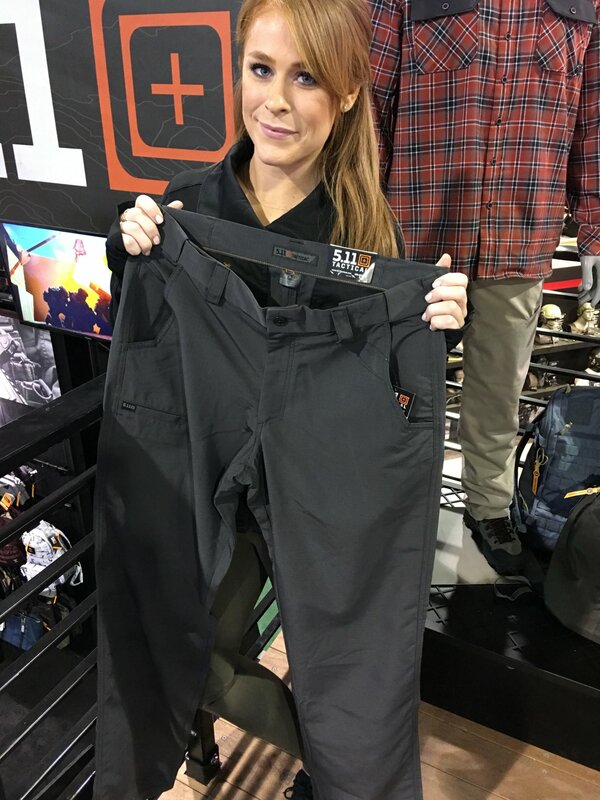 Finley specifically showed DR the 5.11 Tactical Fast-Tac Urban Pant in Charcoal color scheme, but the pant is also available in Battle Brown, Dark Navy, Black and Khaki. 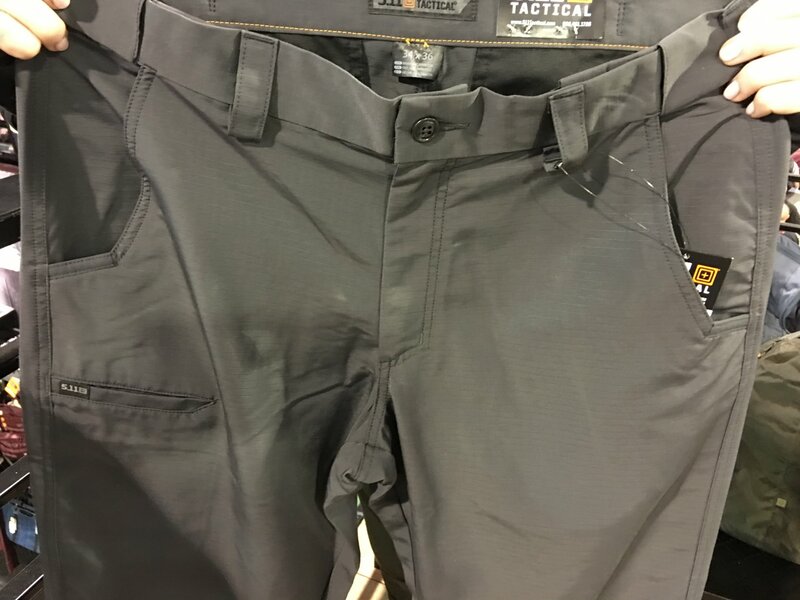 Oh, and here’s the kicker, the 5.11 Tactical Fast-Tac Urban Pant currently retails for only $39.99, while the 5.11 Tactical Fast-Tac Cargo Pant retails for only. Unbelievable, assuming they work as advertised, and are both comfortable and durable. Defense Review can’t WAIT to get a couple pairs of these for a little T&E and review (and travel). These pants should travel super easily, especially for short excursions where you’re travelling with a small weekender-type suitcase. Really dig these.